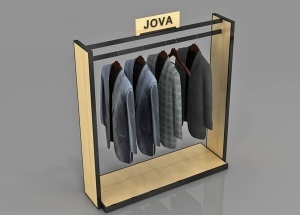 This garment rack with 4 shelves are made by black stainless steel and wood veneer finishes. 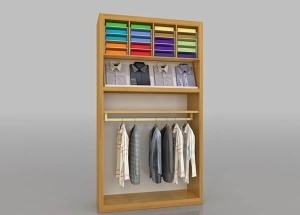 It's a free standing clothes gondola for clothing shop. 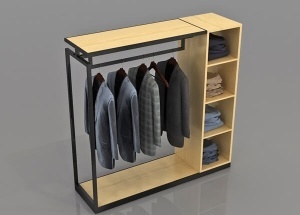 This free standing garment racks are made by black stainless steel and wood veneer finishes. It's a free standing clothes gondola for clothing shop. 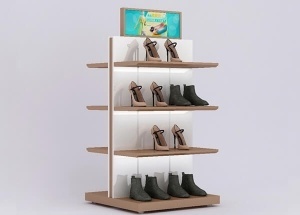 This shoe display shelves are gondola display, and widly used in shoe store and bag shop. We offers standard laminate and veneer finishes this retail display shelf, and we can also customize finishes to your specification. 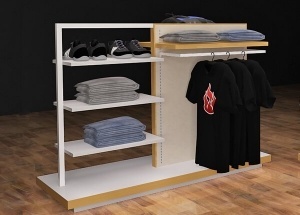 This shoe rack display are widly used in shoe store and bag shop. We offers standard laminate and veneer finishes this retail display shelf, and we can also customize finishes to your specification. 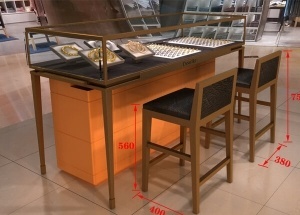 This jewellery showcase are custom made for luxury store. 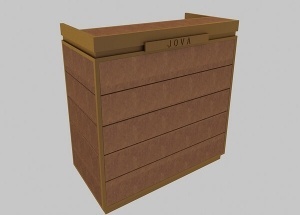 This front counter desk are custom made for luxury store.